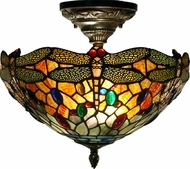 Dale Tiffany - Crystal & Art Glass Lighting ~ HUGE DISCOUNT! Who is Dale Tiffany? Since 1979, they have been the world's leading designer and manufacturer of exquisitely designed, handmade Tiffany, art glass and crystal lighting. They specialize in high-end reproductions of Louis Comfort Tiffany's legendary stained glass designs and are known around the world for upholding the fine tradition of hand-rolled art glass and Tiffany's copper foil technique. They create fine art pieces that are individually unique. This attention to quality and artistic excellence makes each Dale Tiffany lamp not just a stunning centerpiece, but a treasured heirloom. 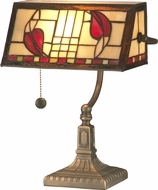 You'll find a wide selection of Dale Tiffany ceiling lights; chandeliers; table, floor and desk lamps; pendant lights; wall and vanity lighting; island lighting and accent lighting. 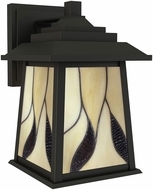 Each piece provides striking illumination for your home with breathtaking elegance. When you step inside the world of Dale Tiffany, you enter into the realm of vibrant colors and subtle nuance. Whether you want a dazzling display for a dining room or a subdued yet enticing accent light for a library or guest room, you'll find the perfect addition to your traditional, contemporary or transitional décor. Dale Tiffany's designs are inspired by L.C. Tiffany, Pairpoint, Philip J. Handle and other historically important lighting designers. They merge timeless beauty with their own creativity to present unique lighting for every budget and sensibility. In addition to style, the quality of workmanship is unsurpassed, with the most rigorous inspection and testing at every step of the production process to meet and exceed CUL and UL requirements. Every floor lamp, chandelier, wall sconce, pendant light and reading lamp is handcrafted to the highest standards. As one of the first online lighting retailers, AffordableLamps.com is proud to offer a comprehensive selection of Dale Tiffany lighting. We represent more than 40 distinguished brands of premium quality lighting, with more than 30,000 products. In addition to our extensive selection of luxury lamps at highly affordable prices, we offer exceptional customer service, with live representatives available to answer your questions. Take advantage of our free ground shipping on orders more than $100, and no sales tax in any state.